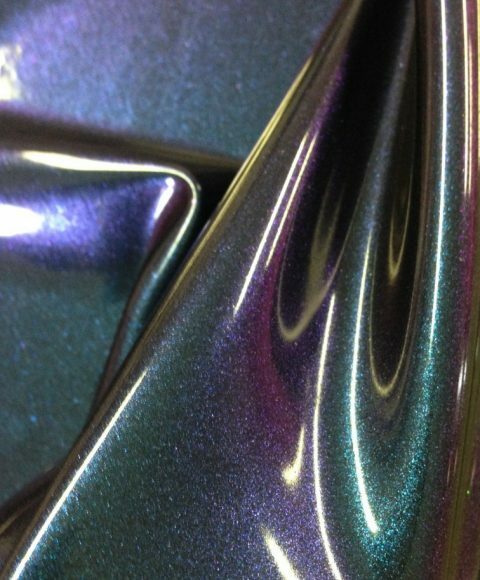 Yummy Gummy Bespoke Sheet Latex. Any sheet latex you’re after we most likely can do. We make patterned latex, textured latex, galaxy latex, furry effect latex, sparkly latex, glittery latex, marble latex, spotty latex, super colourful latex, splattery latex, UV latex, camo latex, floral latex, Holographic latex, pearlescent latex, painted latex, iridescent latex, colour change latex, metallic latex, fetish latex, fashion latex, animal print latex, smokey latex, opal latex, jewel latex, lace latex, rainbow latex, rainbow holographic latex, colour change latex, multi chrome latex, tie dye latex and many many more, your imagination is the limit. No other manufacturer of ‘special’ sheet latex offers this kind of service in as big a sheet size (2m x 1m). None of our sheet latex is printed! It is all hand poured! We love nothing more than creating works of latex art and experimenting with different techniques and colour ways.